In the first days of April we will have a security check of our website. Some impairments are possible and we apologize for this. Hope you will have an interesting and a fruitful reading of this issue of Acta IMEKO. 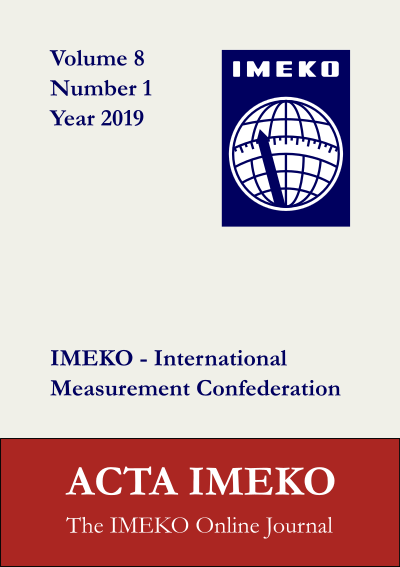 The full papers are available for free from the website of Acta IMEKO. Enjoy reading. Preliminary information can be found on the web site of the IMEKO XXIII World Congress 2021. Please read the latest news and get the newest dates and information in our newsletter. What are cookbooks? From EUROLAB's website: "EUROLAB cookbooks are short documents on quality issues to help laboratories comply with ISO/IEC 17025." Please visit the EUROLAB website and read or download these documents. Please check the web site of the IMEKO XXII World Congress 2018 (which took place in Belfast, UK from September 3rd to 6th) for the latest news about the event and some photos in the gallery.